Everyone's hiding something in The Shrouded Isle. As the spiritual advisor to a community of sinners and religious zealots, it's your job to appoint officials and guide the island's poor souls towards the awakening of their strange god. There are no easy choices. Appeasing a slumbering god means sacrificing villagers once a season and choosing a victim becomes more of a balancing act of needs and wants than a religious ceremony. 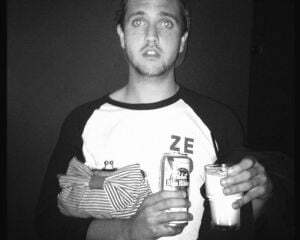 No one ever said leading a cult is easy. 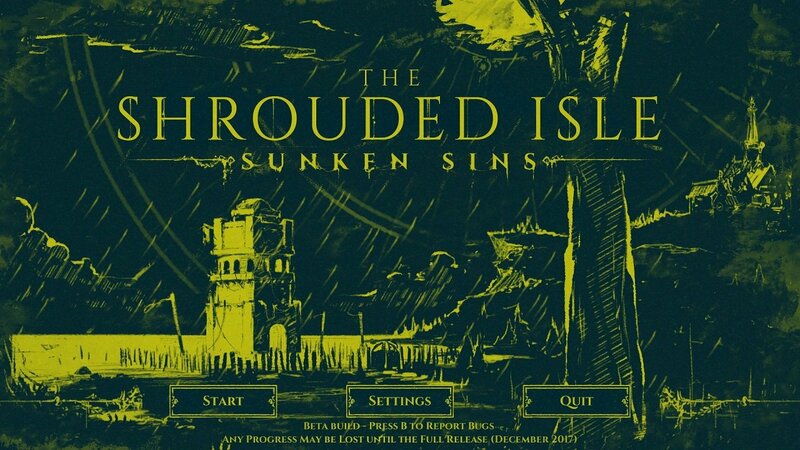 The path towards salvation is even more difficult in The Shrouded Isle's Sunken Sins DLC. In the free update, not only are players required to keep the titular isle's five ruling houses happy, but they also have to stop the spread of a strange contagion. In the real world, eradicating a mysterious disease might mean years of careful research and new medical breakthroughs. In Sunken Sins, purification comes from prolonged exposure to salt water. I spent a few hours with Sunken Sins to see if I still had what it takes to lead a village to their destiny. I dug the base game, with its mix of cultish themes, twisted characters, and gothic art direction. 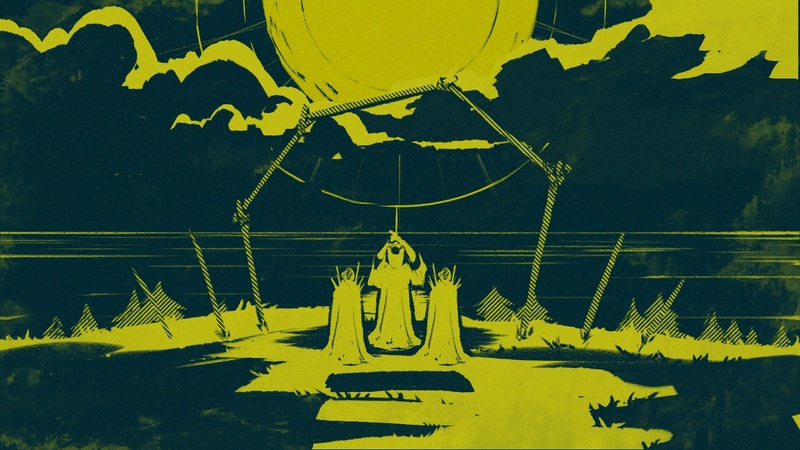 The Shrouded Isle's DLC feels more like an expansion than a small piece of new content. After two seasons, I found that the occult life I remembered had changed for the better. Coaxing the villager's god now takes five years, instead of three. Two additional years means eight more sacrifices, which makes The Shrouded Isle much more difficult. Though it wasn't without some tough choices, I never had too much of a hard time completing the base game. Sunken Sins' extended timeframe requires a bit more long-term planning. Sinners that I would normally sacrifice right away sometimes got put on the backburner, squirreled away under my watchful eye for an upcoming season. The Shrouded Isle always felt like a seesaw of morally grey choices. In tasking players with managing a village's Penitence, Obedience, Ignorance, Fervor, and Discipline while balancing the satisfaction of five ruling houses and their deranged members, you get used to weighing the value of virtues and vices. Sunken Sins, through its extended campaign and mystery contagion, further muddied the sea salt soaked waters. After two regular seasons, players receive word that something's amiss among the ruling houses. Some illness is spreading slowly but surely, and it can only be stopped by reopening a forgotten tower once used for torture. By quarantining villagers and either examining their ailments or attempting to purify them through submersion, you can stay a few steps ahead of the illness' spread. Of course, being proactive doesn't mean the island and its residents are safe. Sunken Sins introduces extra afflictions -- statuses like "Pervert" or "Violent" which plague electable officials and affect the different faith categories -- that pop up much more frequently. With the DLC's new systems, The Shrouded Isle falls into an uncomfortable but engaging flow. Beyond attempting to awaken the sleeping god, you're also responsible for purifying citizens who are acting peculiar. Instead of selecting a character to office for one season, you can send them to the tower and submerge them. Doing so can cure whatever virtue-based affliction bothers them, but it may also allow someone to transcend their mortal flesh and become Awoken. The Awoken state exists somewhere between "fish-person" and "some other Lovecraftian entity." They speak a garbled tongue and are admired by the isle's population. Purifying anyone to the point of awakening is a noble cause, but it makes selecting a sacrifice even harder. The people will riot if one of their fish-faced friends is cut down, and make it damn near impossible to keep order. Leaving them be, however, means selecting advisors -- and ultimately, sacrifices -- from a smaller pool. 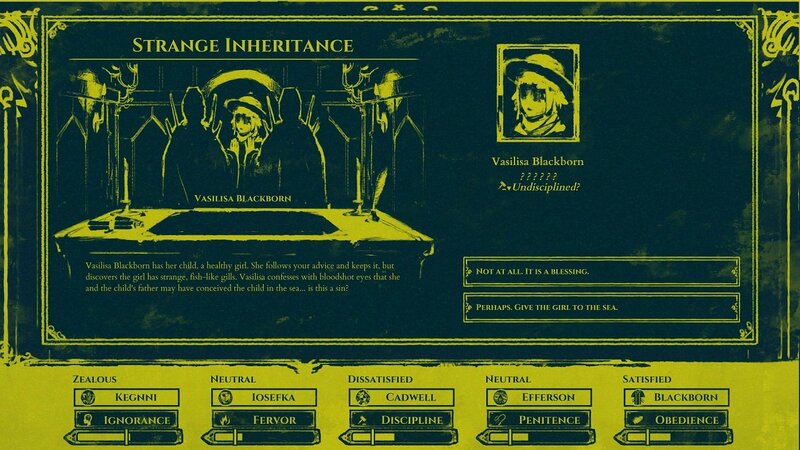 When I first wrote about The Shrouded Isle, I called it a "gothic management simulator" for a good reason. It's an intensely bureaucratic game, and most of your time is spent picking and choosing leaders from a collection of people that are pretty awful humans. With the Sunken Sins DLC, the game feels more complex and robust. Almost everyone is still wicked to the core, your path towards enlightenment is still littered with bodies, and now there are fish people to contend with, but hey, cult-life is supposed to be difficult.